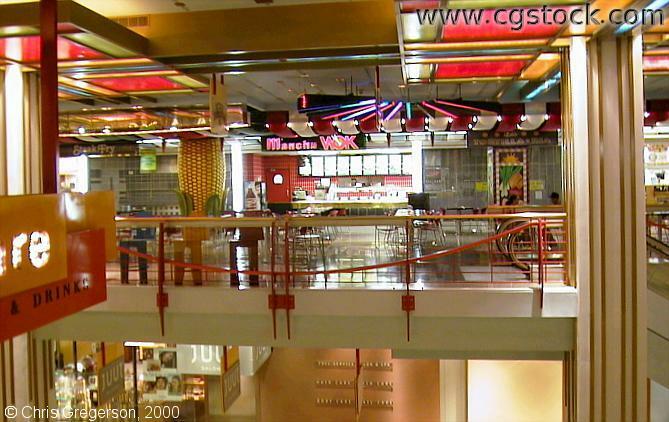 You are on the fourth floor of Gaviidae-Neiman Marcus, looking across the atrium at the Manchu Wok. There is also a McDonalds, and a D'Amico and Sons on the first floor. There is a Caribou Coffee as well.